The Committee received a briefing from the Department of Trade and Industry (DTI) on the Industrial Policy Action Plan (IPAP) 2016/17 Annual Report, status of the manufacturing sector and the upcoming World Trade Organisation (WTO) Ministerial Conference in December 2017. The Minister of Trade and Industry, Dr Rob Davies, began by providing some introductory remarks to the Committee in relation to industrial activity, investment, the clothing manufacturing industry and black industrialist programme. The presentation of the 2016/17 IPAP Annual Report covered the grounding of the Plan, core objectives, achievements for 2016/17 and industrial financing and incentives. The presentation also looked at spatial economic zones, technology and innovation, trade and export promotion, developmental trade policy and the steel industry. Members were informed of clothing, textiles, leather and footwear, the automotive industry, metal fabrication, business process services, agro-processing, ship and boatbuilding and metals and minerals. The presentation then touched on plastics and pharmaceuticals, key challenges facing IPAP and pricing of electricity. The Department of Trade and Industry (DTI) then presented the status of the manufacturing sector – the presentation covered economic developments of other countries in relation to manufacturing, contribution of manufacturing to GDP, China’s export-led growth strategy, the global financial crisis and SA’s economic recovery. The Committee was very concerned about localisation and the beneficiation of locals in the industries so many of its questions related to this such as what the Department was doing to ensure it tackled high levels of unemployment and ensure employees were protected, locals were benefitting from agreements, women-owned enterprises benefitted and compelling companies to support local communities. Further questions were about the impact of the black industrialist programme, ensuring state-owned enterprises procured locally, implications of General Motors pulling out of SA and whether local procurement was included as a condition for grants. The Committee was then updated on the World Trade Organisation (WTO) in terms of calls for greater inclusivity, increases in protectionism, aims of the WTO, the Doha Ministerial Declaration and 1th Ministerial Conference. The update also touched on the African position, special and differential agreements, fisheries subsidies, public stockholding and domestic regulations. Members questioned if SA’S policy change would look more at bilateral and regional agreements as opposed to international agreements, regulating Bitcoin and e-commerce and how DTI would address barriers to intra-regional trade and the rise of protectionism in the form of non-tariff barriers. 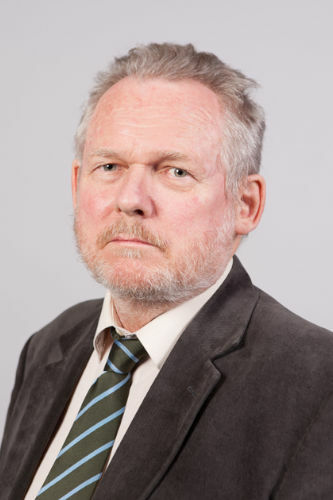 Dr Rob Davies, Minister of Trade and Industry, said the Department of Trade and Industry (DTI) had been trying to work to ensure that, under trying circumstances, it would build enough confidence as it can to ensure industrial activity continued and to address a number of issues facing the industrial sector. There was an investment of R3 billion by the Ford Motor Company in 2017 - this was an indication that things continued to happen in the South African economy. A task team was also formed on the successive programme to the automotive production development programme. The work government was doing was highly regarded as rigorous and inclusive. DTI was also meeting regularly with clothing retailers around their investment in clothing manufacturing and the building of that. The manufacturing circle presented its own map to a million were it indicated it could grow one million jobs. DTI engaged with the circle and would continue to do so going forward. Despite challenges, DTI continued to do its work as it could. On the black industrialist programme, the target was 100 by the end of the 2016/17 financial year. The score card currently stood at 72 approved DIT incentive programmes. DTI was well on track and the team was confident it could achieve 100 by the end of the financial year. Ms Zukiswa Ncapayi, DTI Chief Director: Industrial Policy, outlined that the Industrial Policy Action Plan (IPAP) was informed by the vision set out for SA’s development provided by the National Development Plan (NDP) and was a key component of the President’s nine-point plan. Industrial development was one of the key pillars required to create inclusive growth based on value addition, labour intensive sectors and export growth. IPAP was designed to address the decline in industrial and manufacturing capacity and contribute to job creation. It was a product of the economic sector, employment sector and employment cluster of government. Its iterative annual format served as a useful tool to strengthen intra-governmental integration and co-ordination. -developmental model focused on economic transformation and social inclusion. Achievements for 2016/17 were in procurement with significant emphasis on leveraging public procurement for domestic manufacturing and job creation with a total value of R2.6 billion of tenders on designated products awarded to local companies. On the National Industrial Participation (NIP) there was agreement between DTI, South African Airways Technical (SAAT) and an obligor to revive the aircraft engine maintenance, repair and overhaul capabilities of SAAT. The contract was awarded to Cobham Satcom, a South African manufacturer to supply parts to airbus for the Light Inmarsat Satcom for the A320 NEO (New Engine Option) and the A330 NEO aircraft. An agreement was reached between obligor and the Council for Scientific and Industrial Research (CSIR) for the provision of software for the Product Life Management (PLM) for a period of four years in support for Small Medium and Micro Enterprises ((SMME) development at various stages. In industrial financing and incentives, the Industrial Development Corporation (IDC) disbursed R9.1 billion for 2016/17 in support of IPAP. The Black Industrialist Development Programme targeted 36 projects, which were expected to create 3 979 direct jobs and sustain 3 837 jobs, with a total support value of R1 billion while leveraging R3.1 billion in private investment. The number of projects grew to 72 and the team was confident it would achieve 100 projects by the end of the financial year. In the Automotive Investment Scheme (AIS), an investment valued at R12.2 billion was made by the private sector and was projected to create 2 514 new jobs and retain 34 113 projected jobs in the passenger and heavy vehicle manufacturing industry. In the Industrial Park Revitalisation Programme (IPRP), DTI embarked on revitalisation of six industrial parks, focusing initially on critical infrastructure upgrades. In the Cluster Development Programme (CDP), six cluster initiatives, totaling R56.6 million, were approved. 24 projects were approved, with total investment value of R14.3 billion in the 12i Allowance Incentive Scheme. Eight projects were approved with an investment value of R198 million in the Aquaculture Development and Enhancement Programme (ADEP). In the Spatial Economic Zones (SEZ), the total number of secured investments had significantly increased from 47 to 72, with the total related value moving up from R19.7 billion to R41.2 billion. Technology and Innovation were key in leveraging public procurement. This was led by the Department of Science and Technology (DST). Between 2012 and 2016, the technology localisation programme supported 16 companies in the development of new products, created 650 direct jobs and retained 6 500 jobs. 40% of the companies supported were black women-owned. R33 million was invested in 2016/17 by DST in support of the technology stations expansion in its geographical footprint and reach. In trade and export promotion, 1 473 companies benefitted between 2015/16 and 2016/17. The Export Marketing and Investment Assistance Scheme (EMIA) supported 1 172 projects for a total support package of approximately R106 million. InvestSA was responsible for securing direct investment in a difficult economic climate. Government established a national investment One Stop Shop and two provincial centers in KwaZulu-Natal, and subsequently in the Western Cape, thus securing a streamlined, inter-departmental clearing house system. In 2016, South Africa’s Foreign Direct Investment (FDI) inflows increased at 38% year on year. Investors were still attracted to SA despite difficulties in the South African economy. In the Developmental Trade Policy, the South African Bureau of Standards (SABS) Design Institute, in partnership with Transnet, rolled out the Moving Ideas programme – an enterprise development initiative with subsidised R&D facilities, tools and resources to black entrepreneurs and black owned SMMEs. The South African National Accreditation System (SANAS) established a system for the accreditation of certification bodies in information security management. The National Metrology Institute of SA (NMISA) established an internationally recognised capability for pollutant analysis and an African Feed and Food Reference Material programme to produce matric reference materials in support of intra-Africa trade and exports. In the steel industry, government intervened to save the industry in 2016 through effective use and alignment of industrial policy tools and reciprocal control mechanisms. The measures implemented were to ensure sustainability of the steel industry to increase the general rate of customs duty on primary steel products to 10%, downstream support measures, including tariff review on a range of downstream products and deployment of rebates, agreement on a set principles for flat steel pricing and local procurement by government, particularly the designation of downstream steel-intensive construction products and components, and the settlement of the Competition Commission issues Arcelor-Mittal South Africa (AMSA). AMSA and government had also agreed to remove import parity pricing with immediate effect. Reciprocal conditions attached to the policy support measures for the primary steel industry include commitments to invest at least R4.6 billion over the next five years to improve plant competitiveness, competitive pricing, job retention and industrial output. Clothing, Textiles, Leather and Footwear (CTLF) was supporting and growing a key labour intensive sector. Since inception of the Clothing and Textiles Competitiveness Programmes (CTCP) – a partnership between DTI and the IDC and managed by IDC – support for the sector had amounted to R4.9 billion in incentives. The automotive industry, through the Automotive Production Development Programme (APDP) incentive disbursed R7.8 billion which unlocked R28.5 billion in private investment. Beijing Automobile International Corporation began building its R11 billion vehicle manufacturing plant which set to create 2 500 direct jobs. Toyota South Africa opened a R6.1 billion assembly line to produce the Fortuner and Hilux. R1.9 billion would go towards supplier tooling, R1.4 billion towards in-house tooling and the rest would be committed to in-house facilities and buildings to cater for new press machines. Ford SA was set to invest R11.5 million in the construction and operation of a new job training and entrepreneurial development centre. Volkswagen SA (VWSA) had invested R120 million in a new 21 000 try-out press to improve manufacturing capabilities. The new facility would produce close to 10 000 parts per day for the Polo, Polo Cross and the local Polo Vivo models. In metal fabrication, capital and transport equipment, SA’s efforts to upscale industrial capacities and capabilities in the manufacture of rail transport and components were boosted by the launch of several new facilities, such as the Bombardier Transportation Propulsion and Control facility launched in Elandsfontein with 100 people employed while AVK valves, in partnership with Premier Valves, launched a R200 million new plant in Benoni due to the designation process. Business Process Services (BPS) was an ongoing effort to build a globally competitive and labour intensive sector. Funding was approved in May 2016 for phase five of the Monyetla Work Readiness Programme, which would train an additional 6 000 employed learners, leading to achievement of a target set in 2012 to put 18 000 for the youth into training with 70% gaining employment. Agro-processing was the largest manufacturing sector, labour intensive and the sector kept on growing and showed record growth in the last 15 years. DTI launched R100 million tomato processing plant ensuring business for 15 commercial farmers. Nestle SA inaugurated its instant coffee manufacturing plant in KZN after a R102 billion investment into the expansion of its factory. Koopmanskloof Wines secured a deal with a Russian company to start shipping over 60 000 bottles of wine. GWK Farm Foods unveiled a technologically advanced wheat mill, pasta plant and biscuit factory. It was one of the most modern new food production facilities on the African continent. Ship and boatbuilding was recognised through operation Phakisa. Armscor announced preferred bidders to supply ships for the Navy’s projects Biro and Hotel. The estimated combined value of the tenders was around R5 billion. In the Electro-technical sector, there had been important OEM investments in SA in the television and white goods markets including Hisense, Defy and Samsung. In metals and minerals, there was a launch of a new R4 billion titanium beneficiation project for manufacturing titanium pigment at the Richards Bay Industrial Development Zone (IDZ). 1 200 indirect and 800 direct jobs would be created during the construction phase of the plant with 550 permanent jobs established once the plant was operational. In fuel cells, Impala Platinum unveiled an innovative technology that could thrust SA to the forefront of global hydrogen fuel cell developments. In collaboration with HySA infrastructure, Anglo Platinum was developing fuel cell-powered mining equipment – namely a dozer and load haul dumper (LHD) – for its own operations. In plastics and pharmaceuticals, Mpact opened a R350 million Polyethylene Terephthalate recycling plant which created 1 000 indirect jobs. The operation resulted in SA becoming the first on the African continent to meet Coca-Cola’s certification requirements to package its soft drinks. Cipla Biotec formalised its investment in the Dube Trade Port in KZN, the first of its kind facility in SA, for the manufacture of biotechnology products. Key challenges facing IPAP were that the global economy was faced with lingering effects of the global recession and its aftershocks in the form of weak growth and demand. The domestic economy was beset by a series of deep seated and historical structural fault lines which remained stubbornly difficult to overcome policy uncertainty and programme misalignment between State Owned Companies (SOCs) mandates and industrial policy, such as Eskom not signing contracts with Independent Power Producers (IPPs) under the Renewable Energy Independent Power Producer Programme (REIPPP) resulting in factory closures, and non-compliance with localisation prescripts such as rail localisation programmes. The estimated cost of Transnet locomotives was R52 billion. Pricing of electricity was especially high where municipal premiums were added including security of supply in particular in smaller municipalities. There were deep-seated skills shortages and mismatches which acted as a barrier to growth. Red tape, legislative and regulatory delays particularly with respect to securing coherent, integrated and developmental-friendly legislation and regulations resulted in issuance of water licenses, Environmental Impact Assessments (EIAs) and inconsistent interpretations of environmental legislation by municipalities impacting on foundries sustainability. There was a continuation of resource dependency. There was weak domestic demand and persistent unemployment at approximately 27%. IPAP set out a higher impact iteration of cross cutting and sector specific programmes. The key underlying principles of IPAP 2016-17 emphasised the need for a national industrial effort with policy coherence and policy certainty across government. Policy alignment and coherence in government was fundamental in order to contribute to this sustainable growth path of value added manufacturing together with employment creation in labour-absorbing sectors. Mr Stephen Hanival, DTI DDG: Chief Economist, said that most countries achieved sustained and sustainable economic development which was largely led by manufacturing. This applied to the early industrialisers such as the U.K, Europe, USA and Japan. The manufacturing sector had the highest economic multipliers because it was a value-addition and had linkages to the upstream production sectors of the economy such as mining and agriculture and the downstream service sectors. The manufacturing sector contributed directly to GDP, employment, exports and human capital development. The manufacturing sector was responsible for 12% of GDP or 1.7 million jobs overall. It was important not to listen to what other countries said - people should rather look at what other counties have done. China’s export-led growth strategy was very successful, but the weak global economy after the 2008 Global Financial Crisis (GFC) resulted in large surplus production of clothing, textiles, toys, furniture, metal products, plastic products and steel. For many countries, a tipping point was reached and in almost every case, the response was to defend their domestic industrial capabilities. There were clear winners and losers after the Asian crisis in the mid-1990s. A large portion of the winners is China, but other developing countries also benefitted. Sub-Saharan Africa missed out on the benefits. Sub-Saharan African countries only contribute 9% to the total world GDP. From the onset of the GFC in 2009-2014, SA’s GDP growth closely tracked peer non-oil, mineral commodity exporters. After 2014, SA’s GDP growth began to diverge from peer countries. Causal factors included emergence of domestic policy shocks and challenges such as sharply escalating administered prices and other economic infrastructure constraints. SA’s economic recovery lost momentum from early 2015. The international Monetary Fund’s (IMF) World Economic Outlook suggested that SA was facing the possibility of sustained slow growth, possibly for five years. A key assumption of the IMF forecast was that commodity prices continued to recover only slowly. Faster mineral commodity price growth would benefit SA, but in the absence of structural change, benefits would be temporary at best. SA’s GDP performance was relatively uneven over the past three years. Although almost all sectors had grown since 1994, the productive sectors, which were crucial for long-term growth and job creation, grew more slowly than services sectors. Although manufacturing had grown, it had not grown fast enough. Consequently the structure of SA’s economy looked much more like a developed country than an emerging market. The gap between Growth Domestic Expenditure (GDE) and manufacturing output was relatively small in 2008 December as opposed to the current gap in last quarter of 2016 and second quarter of 2017. Spending had largely gone into imports. Manufacturing sector had not benefitted much since the onset of the GFS in 2007/08. SA’s manufacturing sector was relatively vulnerable to global external shocks, such as the East Asian crisis in 1998, bursting of the ‘Dot.com’ tech bubble of 2002 and the GFC in 2009. The domestic policy environment similarly had a major impact on the sector in terms of electricity prices, rail and port logistics prices and inefficiencies, weak aggregate demand and unusually volatile demand which was difficult for the private sector to plan and invest for. The most striking features of the structure was a concentration on just six subsectors, namely, food processing, coke and petroleum products, other chemicals, basic iron and steel, metal products and automotives. In 1994, these subsectors accounted for approximately for 37% of total manufacturing value-added. By 2015, these subsectors accounted for almost 50%. This raised SA’s vulnerability to internal and external shocks. In recent years, SA had experienced both shocks. The first period of formal employment in the manufacturing sector coincides with SA’s liberalisation episode. Approximately 150 000 jobs were lost as industries faced harsh global competition. The second period coincided with the commodity ‘super-cycle’. Over this period, total manufacturing employment increased by 9 000 jobs. In the trade sector, the aggregate level of SA showed many of the classic signs of ‘Dutch disease’. Commodity super-cycle and exports led to a strengthening Rand. This resulted in a spike in consumer spending fueled by relatively cheap imports. In recent years, the trade deficit narrowed, but this was primarily because of slowing investment spending. Since 1994, manufactured exports grew fourfold while imports doubled. Although manufactured imports remain higher than exports, it thereby resulted in a trade deficit for manufacturing as a whole. From 2003 to 2008, the GFC grew very strongly as the commodity super-cycle led to large investments in sectors such as machinery, non-metallic minerals, basic chemicals and professional and scientific equipment. From a policy perspective, it was encouraging to see strong growth in other transport equipment, footwear, automotives and textiles as these were sectors in which government intervened decisively. The current structure of the South African economy could not create large numbers of jobs and at appropriate skill levels. This meant the composition of the economy by sector was not appropriate for SA given challenges. Within sectors, such as manufacturing, labor-intensive sectors were not growing fast enough to create large numbers of jobs. Jobs in tertiary sectors were not substitutes for jobs in productive sectors. Imports, both legal and illegal, became a major economic leakage. Linked to the illicit economy, ‘discount mall’, it was unlikely that import tariffs and VAT were being paid. Apartheid spatial geography continued to constrain the economy in relation to travel time and costs and the ability for firms to run multiple shifts. Unlike many other developing countries, SA prevented major hollowing out of industrial capacity. This was achieved through judicious use of incentives and successful deployment of IPAP Task Teams to deal with challenges such as in the poultry and steel sector. But there was a growing risk that interventions in the manufacturing sector would simply not be sufficient to protect industries. There was a need to develop a much more tightly coordinated and supportive environment – premised on policy and programmatic certainty – if DTI were to convince the private sector to invest heavily, create jobs and ignite inclusive growth. asked what DTI suggested could be an immediate intervention to address the most crucial challenges at the current stage. She wanted to know if there was no way that DTI could broaden the scope in terms of engagement with feeding companies to ensure that while it was giving jobs to local people it was also protecting the individuals in terms of job security and adhering to legislation. Adv A Alberts (FF+) said that DTI seemed to be the only Department that invested in the economy and in capital that would advance the economy going forward. He asked how responsive Ministries were to matters that DTI raised since it went through a lot of trouble to try and save jobs. Mr J Esterhuizen (IFP) said that government grants and incentives in the automotive industry were the highest among other countries but SA still sat with unskilled labour which was a huge concern. It was also a concern that the current state of the manufacturing sector could not create large number of jobs at appropriate skill levels. The redistribution policy of government was encouraging unequal income distribution patterns and had an effect on the middle class. All government programmes seemed to contradict themselves in some areas and the NDP, which was regarded as the most extensive programme, seemed to be shelved and collecting dust. IPAP failed to confront constraints imposed on industrialisation by macro-economic stabilisation and it was a constant hindrance to successful export strategies and there were no coherent proposals to remove the blockage. The biggest concern for SA’s manufacturing sector was skilled labour in the country. In the steel industry, Minister Davis suggested imposing emergency steel export tariffs, which was excellent, but there was still China’s dumping of steel. Regular rates for unskilled workers were never matched with higher productivity. It made output per person in SA much higher than anywhere in the world and this was a big concern for FDI and for the manufacturing sector in the country. Ms P Chueu (ANC) said the Department should assist the Minister of Energy in terms of reducing the price of energy, considering the issue of nuclear because it was a cheap source of electricity. In the automotive industry, Ford had been in Mamelodi for many years but had never benefitted the people of Mamelodi. Even when Ford expanded in 2012, it did nothing for the local people of Mamelodi. On the matter of Toyota, it was mostly African people that were dominant in the taxi industry, but Africans did not benefit from the manufacturing of Toyota parts such as service kits. At least one part of the industry should be owned by African people. At the same time Toyota was saying it wanted to localise but it was not clear who it was localising for since the people were not involved. Ms Chueu said that DTI only supported women in bead making but never focused on other sectors. She wanted DTI to focus on women at all sectors and levels. The IDC WAS given billions of Rands in the past 23 years but it had not empowered women significantly. Minister Davies had bargaining power to force Coca-Cola to benefit schools through sponsorships or supplying uniforms instead of just insisting on schools selling their products. She asked DTI to do more to force companies it supported to help local communities. Mr Esterhuizen said that policy uncertainty was one of the biggest constraints in the SA economy. They could not have an IPP programme that produced R400 billion and then stopped because it would challenge Eskom’s dominance. Ms C Theko (ANC) asked what the impact of black industrialist and processes of manufacturing value chains was on the Department. She asked how far DTI stood on the database of people it had given money. She also asked what DTI was suggesting to turnaround the whole system, considering the negative rating the country was facing, and what the Department would prioritise going forward. The issue of localisation was identified as a failure - how would DTI force people to comply with localisation? Mr S Mbuyane (ANC) said that manufacturing took a certain level of skill and asked for a briefing on the context of skill level and demand in the manufacturing sector. He asked what measures were in place to ensure State Owned Enterprises applied localisation in procurement in terms of local content. What were the implications of General Motors pulling out of the country? How many black companies had been assisted by DTI? The Chairperson asked if DTI reported illegal practices of employing undocumented workers in all sectors and that they were not treated in inhumane manners to companies that had captured lucrative deals through the DTI – the Department could not just carry on handing out money to companies that broke labour laws and treated workers badly. He asked what DTI was doing to ensure local content was adhered to because it seemed that unless the Committee did oversight they would get nice happy reports which were not true in terms of checking up on local content. The DTI needed to unpack exactly what it meant for significant purposes because the Committee could not tell whether DTI was checking or not, and they could not continue giving money and hope the private sector would comply. The Chairperson asked if DTI made local procurement a condition of incentive grants, black industrialist grants, all grants and how it checked up if they made it a condition, and if not, why not. How many black industrialists were women? What was DTI doing to ensure that localisation was happening in all sectors? Minister Davies said that manufacturing was critical to placing the economy on a different growth path. Even if the jobs came up in the job sectors, they needed to be of high quality relating to diversifying the sector. SA, and Africa, had lost ground in manufacturing and the economy had to diversify in that sector. There were jobs of higher production with the introduction of digital technology. Even if many of the jobs came up in the service sectors related to diversifying the productive sectors, those jobs were of higher production and more secure than those related to imports or financial services which were not linked to a diversifying sector. Africa and SA had lost ground in manufacturing and they needed to gain ground in manufacturing. This was the challenge and the country needed to move up the value chain. With regard to rail or anything linked to the infrastructure programme like automobiles, if there was regional manufacturing equipment like Ford or BMW, they were generally capital intensive operations and investments in their assemblies were about four times about as large as it was in component manufacturing. The jobs were largely in component manufacturing. The issue of the challenge was how to ensure they get component manufacturing because it created more jobs and offered different tiers of component manufacturing. The other tiers were lower offered barriers for entry local and particularly black-owned companies. DTI was trying to identify these. One of the issues was looking at a deeper level of localisation and ensure a more significant portion of those were black-owned companies. At the moment there were not a lot of black-owned suppliers in the auto sector but there was a lot of black-owned engineering companies. DTI had been using the tools of Black Economic Empowerment (BEE), particularly the supply development tool, to turnaround the auto companies among others and say that according to the BEE legislation, they will have to show DTI a quid pro quo not just in terms of jobs and industrial capacity but also empowerment and that they expect it to be met in supply development. DTI plans were not totally incoherent. The nine point plant said that DTI must advance a higher impact IPAP. This meant that IPAP was embedded in other programmes. What was needed was to develop the impact of IPAP. Industrial finance would be tough in the climate the country found itself in, so they had to ensure there were gains from localisation. Localisation meant that the product was produced in SA, rather than manufactured, and that they expected South African people were being supported from localisation, particularly women. One gain from the black industrialist programme was the localisation of cable manufacturing for Eskom, Transnet and other bodies that use cables for transmission. One of the black industrialists that benefitted was United Industrial Cables. Minister Davies said that DTI was working with the Department of Performance Monitoring and Evaluation (DPME) to understand how it got localisation working effectively. It was also working with National Treasury to measure how localisation was affecting South African-based manufacturing. DTI was also working with the Auditor-General of SA (AGSA) to ensure that localisation became an audit finding if not obliged to.SA was able to make localisation decisions in SA because it had not signed the WTO protocol on government procurement. If it signed it, it would not be allowed to localize its own industry. The Department had worked with Phakisa on the mining sector to make sure the industry would also be localised. The black industrialists programme was not because Treasury gave it a bigger budget but because DTI reprioritised its own budget to support the programme. IDC had supported a significant number of black industrialists by strengthening and drawing from its own balance sheet. Minister Davies did not know the number of black women industrialists supported, but he could provide the number. As an example, IDC was supporting a black women-owned pet food company in Cape Town, and Woolworths was involved too. Minister Davies said some of the challenges DTI faced were not issues under the direction of the Department. It had championed, in a number of ways, by raising issues and administering prices. The energy mix was not DTI’s mix but if a decision was taken on it then DTI would intervene to ensure that much of the work comes to the South African economy. There would be improvements on the Preferential procurement Policy Framework Act (PPPFA) to makes sure localisation happened more effectively. Minister Davies said that DTI did engage with the ratings agency and they were not happy with what DTI was doing. DTI worked in a different space and was not involved in people buying into government bonds. They were more involved in FDI through InvestSA and ensuring that SA competed effectively on investments. General Motors largely exited because of the nature of the model they were producing not having much of a success in SA. They were working with Isuzu and the Isuzu investment would continue. DTI would prefer it did not happen. Mr Hanival said that DTI played an important role in the programme management of the nine point plans announced by the President. DTI was responsible for IPAP, beneficiation as well as private sector investor elements of the nine point plan. DTI did work with the Departments of Labour and Higher Education and Training and supported the training of higher levels of training and vocation. There was a high level of support but more could be done. Ms Ncapayi said that there were two programmes within DTI that were looking at the skills challenge and what the country produced was not necessarily the requisite skills required by the manufacturing sector. There was a shortage of artisans in the South African economy, mostly operators and technicians. South Africa’s competitors were countries that had developed and invested immensely in the areas of technicians required in the manufacturing sector and engineers. Within the automotive sector, DTI had an initiative which included building competitiveness and looking at increasing component manufacturers that supplied the Original Equipment Manufacturers (OEMs). This was an area that was more employment generating. Mr Esterhuizen shared the same concern that localisation was very important for the economy. Mass unemployment was a huge problem for labour. He asked how DTI would enforce localisation if SOEs were importing most of its labour. The Chairperson said the Committee would expect responses on those two questions in writing. There was a backlash against trade liberalisation and globalisation. There was a growing call for greater inclusivity. There was an increase in protectionism in the developed world while tariffs remained low. Countries were increasingly using other types of barriers to restrict trade. There was also an unraveling of regional trade agreements with Britain exiting the European Union (Brexit) and Trans Pacific Partnerships (TPP). In this fourth industrial, the importance of regional integration in Africa was emphasised. The aim of the WTO was to create a prosperous and integrated global trading market. It took more than five years before launching a new round of multilateral negotiations in the form of the Doha Development Agenda (DDA) in 2001. DDA claimed that the needs and interest of developing countries would be placed at the heart of the work programme. The Doha round required all countries to negotiate market opening in agriculture, NAMA and services. DDA was launched after the Uruguay round which lasted from 1986 to 1994. The Uruguay round was fundamental as SA was notified as a developed country under the apartheid government taking significant tariff cuts. This reduced bound rates and the water between bound and applied rates. SA therefore accepted much higher commitments compared to bigger developing countries like India and Brazil. The Doha Ministerial Declaration recognised that majority of WTO members were developing countries and placed their needs and interests at the heart of the work programme adopted in the declaration. A development round required removing distortions in international trade rules that inhibited export growth of developing countries. While the DDA covered a wide spectrum of issues, agriculture remained key as trade distortions in agriculture were most pronounced and stifled developmental prospects in the sector where many developing countries had the greatest potential for export growth. The 11th Ministerial Conference (MC11) was scheduled to be held in December 2017 in Argentina. This was a period of considerable uncertainty in trade policy, including a widening backlash against trade agreements and globalisation. The Trump Administration showed a low level of engagement. There were divergences on the mandate of the development agenda in the DDA. There was a strong push for launching of negotiations on e-commerce rules at MC11. On e-commerce, SA and Africa had advanced a position that it was premature to consider negotiations of trade rules on e-commerce. While it was clear that e-commerce was developing rapidly across the globe, development was highly uneven and e-commerce extremely concentrated amongst few countries. This underscored the persistence and depth of the digital divide that related to infrastructure, finance, technology, industry, skills and income. The African position was that developmental objectives and principles of DDA, including special and differential treatment and less than full reciprocity, remain key. Development was to remain at the core of any negotiating outcome. In agriculture, Africa wanted an elimination of trade distorting domestic support that constrained Africa’s full potential in agricultural production and trade. The continent wanted the elimination of all trade distorting policies that affected the cotton sector and to fast track the resolution expeditiously by MC11. There was a call for a multilateral agreement to discipline certain forms of subsidies that contributed to overfishing and overcapacity as agreed in goal 14.6 of the 2030 agenda. Special and Differential (S&D) agreements would be an integral part of all WTO agreements and future multilateral outcomes and would be embodied in the schedules and in the rules and disciplines so as to enable developing countries to address their development needs in line with Africa’s industrial development priorities and agenda 2063. Priority attention was to be accorded to Least Developed Country (LDC) issues including showing maximum flexibility to African LDCs undergoing accession. Fisheries subsidies led to unsustainable fishing practices and overexploitation of fish stocks. Through Strategic Development Goal 14.6, the international community committed to eliminate all forms of subsidies contributing to illegal, unreported and unregulated (IUU) fishing, prohibit harmful subsidies that promote overcapacity and overfishing and committed not to introduce any new such subsidies. Convergence existed to address subsidies on IUU fishing activities but some countries like the United States of America (USA) insisted on addressing subsidies that enabled overfishing. Public Stockholding (PSH) was not a programme implemented in SA. It was championed largely by India. Public stockholding promoted food security by ensuring that expenditure under PSH by developing and LDC countries would not be accounted for under AMS. The Bali Ministerial (2013) was an interim solution for existing programmes under certain conditions and a permanent solution to be found at MC11. SA supported and emphasised the need for effective safeguards to ensure products under PSH programs were not exported and that the programs could be used by other developing countries seeking to strengthen food security objectives. On domestic regulations, the objective was to develop necessary disciplines to ensure licensing, qualification and technical standards and procedures were not an unnecessary barrier to trade. SA did not see domestic regulations as separate from the rest of Doha negotiations. SA had an excellent system of administrative law and already had a transparent system that proposed disciplines could have unforeseen negative consequences such as the WTO Dispute Settlement Board (DSB) deciding on whether a South African law was necessary. A possible outcome of MC11 could be an agreement on the disciplines or harvesting specific provisions such as transparency or agreeing to post MC11 work programme or no outcome. SA was committed to preserve the multilateral trading system that supported development more decisively and continued to advocate for progress on the outstanding Doha issues. SA was of the view that any package that would be agreed to should have clear developmental character and content and should ensue trade supported inclusive growth. A focus on e-commerce should be on cooperation, addressing the digital divide and exploring options for promoting digital industrial policy. There was a need to calibrate expectations realistically. The best outcome for MC11 in the current context would be simply to preserve the status quo in the WTO. Adv Alberts asked if South African policy change would look more at bilateral and regional agreements as opposed to international agreements. He was interested in the view of Minister Davies of regulating Bitcoin and how DTI would respond to this. Ms Van Schalkwyk said that e-commerce was largely unregulated - she listened to the Minister recommending that it would be premature to look at e-commerce but she recommended the Minister relook the decision. She asked what the barriers to intra-regional trade were and how the Department was going to address these. Ms P Mantashe (ANC) asked how African countries would cushion companies for protection of their work flows when e-commerce happened and if there was something that Ministers would do to protect work flows. She asked if the Department of Agriculture, Forestry and Fisheries was working hand in hand with DTI to put a body in place that would know when vessels are coming into the shore and what they were containing. Mr Mbuyane asked which agreements signed in the past had somehow closed the policy space because Dr Davies seemed to be skeptical. He asked how the country was dealing with the rise of protectionism in the form of non-tariff barriers. He also wanted to know what some of the commitments were for trade facilitation and the WTO. Minister Davies said that they were not looking to sign a lot of trade agreements with partners outside the African continent. The reason was that industrialisation was fundamental and it was the objective of the African continent. The biggest barriers to intra-regional trade on the African continent had to do with supply capacity. There was lack of diversification due to the fact that most African countries were not industrialised. The approach DTI was taking was development industrialisation. In the case of Brexit, SA had a duty free agreement with the EU and the British government agreed to have one with SA once it left the EU. A quota needed to be negotiated with the British. The level of skills entering the industrial sector in SA was being raised due to a lot of automation in the same industry in other countries. SA did not want to go into the WTO because it did not want to lock itself into a situation five years from now that saw SMMEs from other countries running e-commerce in SA. Many of the main barriers SA got were not tariffed enough as in developed countries. The DTI needed to grapple with the crypto currency because it was part of the fourth industrial revolution. Minister Davies did not know how it would deal with the matter because these things were happening and it was not just e-commerce. The broader issue would be whether the rules in the automotive sector would provide better roles for developing countries. The Chairperson thanked DTI for coming to brief the Committee.